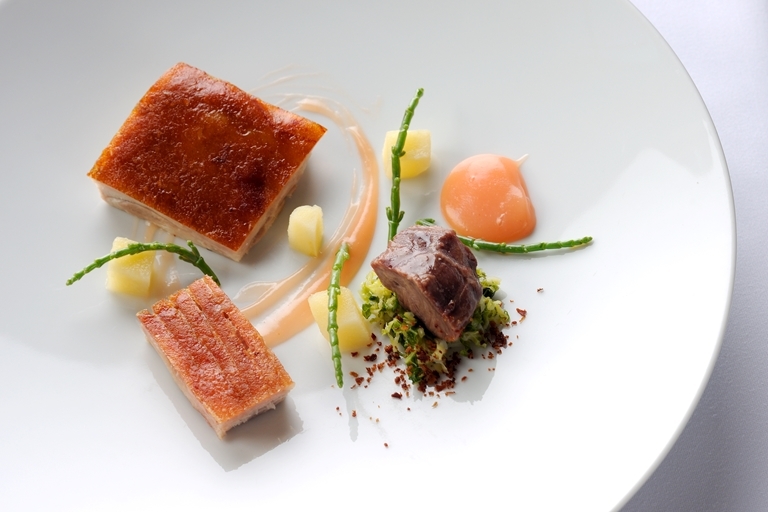 Quince pairs beautifully with pork belly and pork fillet in this recipe by Agnar Sverrisson. In addition to the quince purée and quince pickle, the roast pork is served with a beautiful quince and pork sauce. Icelandic chef Agnar Sverrisson has been raising a maelstrom at his restaurant, Texture, since 2007. Named by The Independent New Restaurant of the Year in 2007, Texture has since accumulated a Michelin star, three AA rosettes, a Catey and a Remy Martin Award.